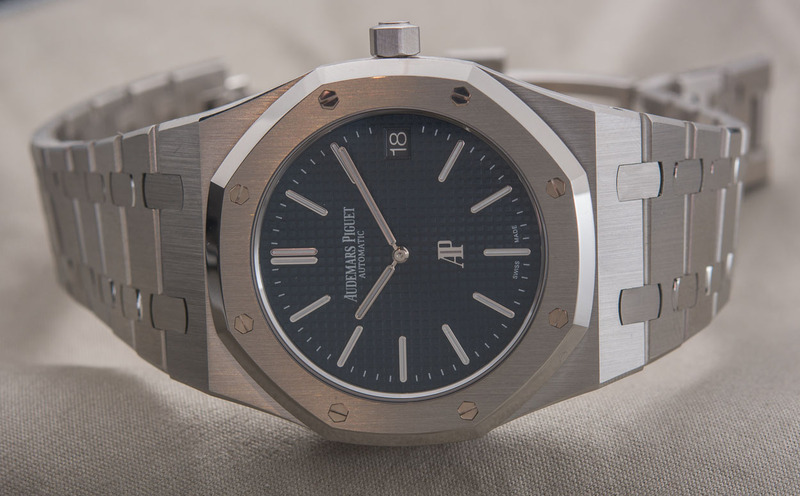 The Royal Oak from Audemars Piguet is a timepiece you either love or hate at first sight. There is no in-between. However, there is also good news. In the last 17 years of being occupied with collecting watches, I noticed that this hate could also turn into love after a while. The Royal Oak seems to be a model that might need some experience in collecting watches. It is by no means an easy model to love, as the octagonal bezel and integrated bracelet are a bit unusual if you are only used to either round or rectangular watches. For me personally, it was love at first sight. Although I didn’t know much about the Royal Oak and its historical models at first, I just loved the shape of the case and the integrated bracelet. Somewhere in the late 1990s, Audemars Piguet started to create catalogs that were numbered (1,2,3). It was a trilogy of catalogs that came out in 1998. In the first catalog, there was this testimonial of a Royal Oak owner. Bruno Rubinksy, owner of a department store in Paris, talked freely about his watch collecting since age 12 and how he met this cosmopolitan with an Audemars Piguet Royal Oak on his wrist. In this testimonial, he stated that he search long and hard for a similar watch and eventually found a pre-owned model in poor condition. He had it restored and it was made from scratch again. After I read that testimonial (which is still one of the coolest things I’ve ever seen in a catalog, instead of all the paid-to-wear-our-watch-ambassadors) I was hooked. But the Audemars Piguet Royal Oak was never a cheap watch and I was just a student at the time collecting affordable (mainly vintage) watches. In the testimonial, Bruno Rubinsky was wearing the white dial Royal Oak ‘Jumbo’ (or ‘Extra-Thin’ as Audemars Piguet calls the current version), reference 15202. This was the official successor of the original Royal Oak that legendary watch designer Gérald Genta did for Audemars Piguet in 1971. The first Royal Oak (reference 5402) was shown during the watch show in Basel in 1972 and quite a success from the start, despite its high price. The idea to only produce a few of them turned out to be a bad one. 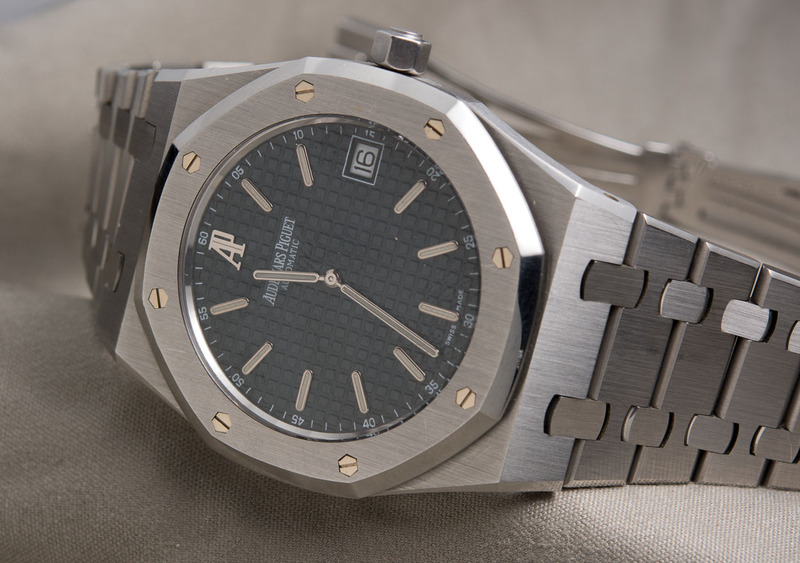 Today, the Royal Oak is the backbone of the Audemars Piguet collection and was used in 1993 to take it one step further (or ore extreme) with the Offshore collection. The 15202 is and was an expensive watch though and only affordable in my wildest dreams as a young watch collector. Then, in 2009, I was able to trade-up a Rolex Yacht-Master and an Omega Speedmaster for a Royal Oak Date. 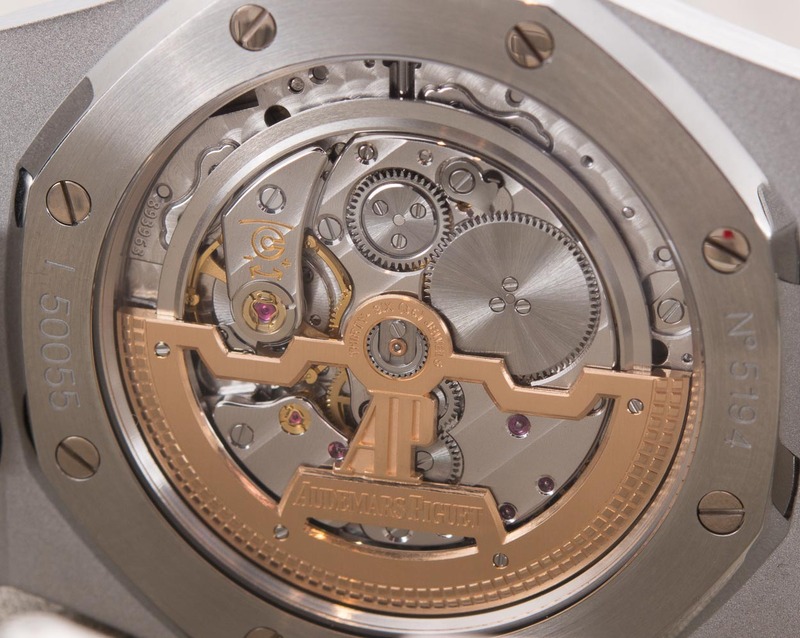 This was the 39mm 15300 reference that was introduced in 2005 with an in-house (caliber 3120) movement. It had the white dial, just like the one from Rubinsky and was in good condition. Later that year, I received an unexpected call from a jeweler to ask me about a Royal Oak he just traded in. He told me it was a 15202ST. I asked him if you would consider a trade-in of a Royal Oak 15300 and he told me he would. After going a bit back and forth about the price to be paid on top of the trade, I agreed and rushed to his shop. A beautiful Audemars Piguet Royal Oak 15202 with the famous charcoal dial (never call it blue or black dial when talking to an owner of such a watch). I couldn’t be happier. So it took about 10 years to finally get the model that I saw in the Audemars Piguet catalog when being a student, but that was quickly forgotten. The Royal Oak 15202ST is perhaps not the most important model in my modest collection of watches, but it remains one of my precious pieces in any case. This watch is so refined, with its brushed surfaces and polished angles, that it is truly a joy to take out of the safe and wear it for a couple of days. The movement inside, caliber 2121, based on Jaeger-LeCoultre’s caliber 920 (that they actually never used themselves) is one of the most beautiful time only self-winding movements I’ve ever come across. The dial looks amazing with its Clous de Paris and it appears that the hands are almost floating in liquid, as the space between the sapphire crystal and dial is so small. When you finally have your Holy Grail of watches, another one eventually pops-up of course. I always thought this would be the Patek Philippe Nautilus, but after giving that watch a spin for a week (borrowed from a friend of mine) I decided that the Royal Oak is more my kind of watch. Where the Nautilus (also designed by Gérald Genta, a few years after the introduction of the Royal Oak) has a dressier apparel due to its smooth lines and finer brushed finish, the Royal Oak is more raw and really is a luxury stainless steel sports watch. So even after 6 years of ownership, I could say that this is my grail watch and I am not planning to let it go. Robert-Jan Broer has a weak spot for (relatively) affordable mechanical timepieces, but also has a lot of appreciation for high-end watchmaking or 'haute horlogerie'. 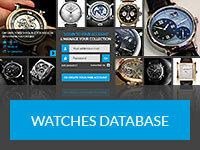 Robert-Jan is running Fratellowatches for 10 years and is writing for several other on-line and print publications he is definitely considered to be a subject matter expert by many. He sold his car to be able to purchase his first mechanical serious timepiece in the late 1990s, being a student he could only afford to have one of the two.